Great fit, colour and exactly what I was expecting. Husband loves the shirt. Would've given it 5 stars but for a white mark on the top of the left sleeve. Fortunately it came out easily otherwise I would have returned it. 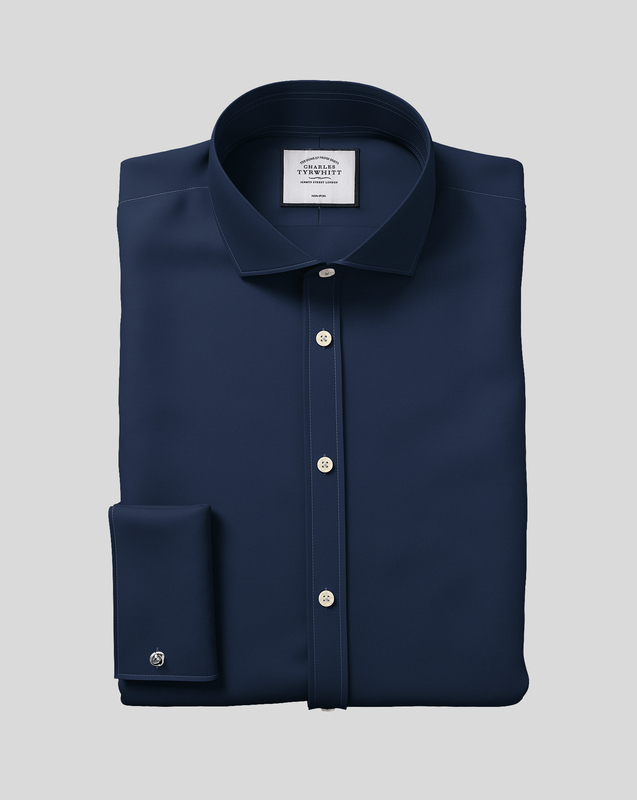 Although the label states slim fit, this shirt is anything but. It's very large and baggy. I am so disappointed with this purchase, which is disappointing as previous purchases have been fine. Also the non iron unfortunately is misleading on this occasion.